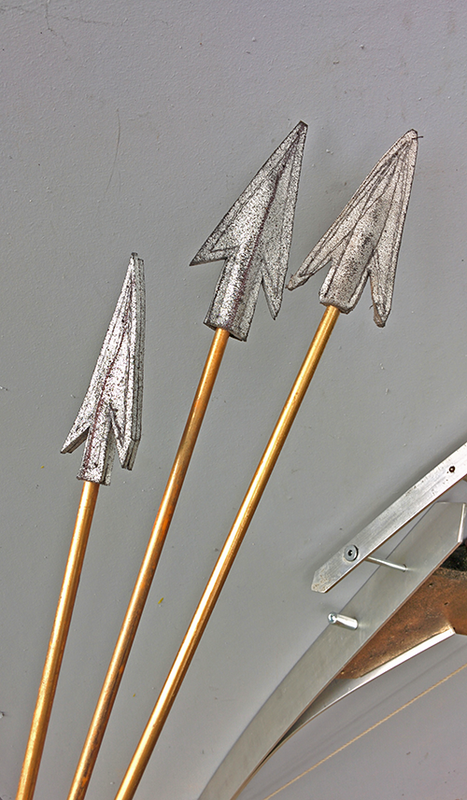 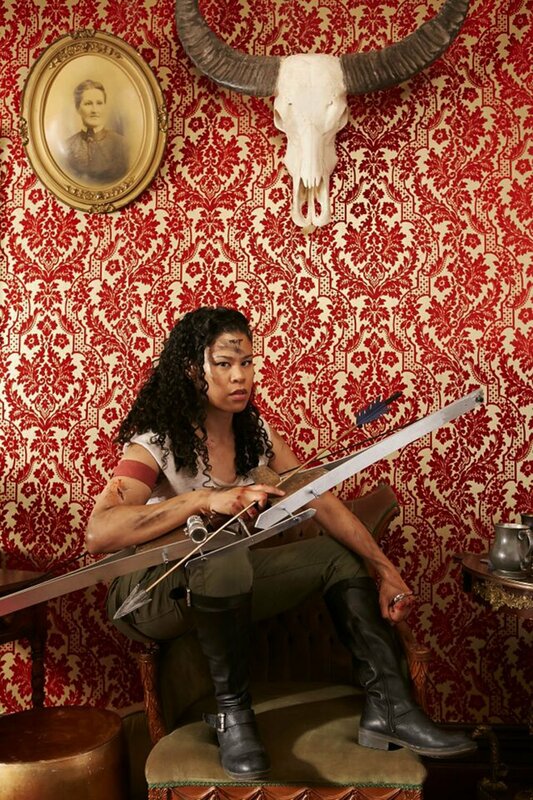 Bow & Arrows | Hero prop created to look menacing on camera but very safe to use on set. 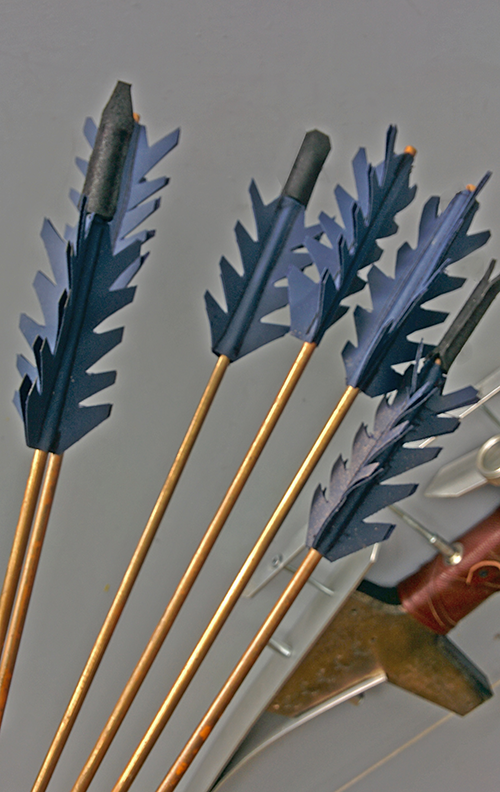 Built in safety features include rubber arrowheads and a latch preventing the arrow from releasing if fired by accident. 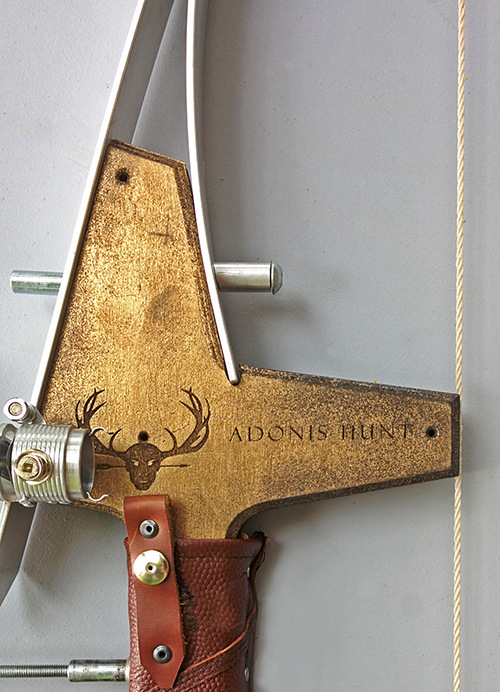 Custom engravings were created to reference the script | Materials: Plastic, wood, aluminum, metal fasteners, rubber, vynil.